Ireland West Angling provides full angling packages to suit game, coarse and sea anglers. Brian Curran and his team, have over 75 years experience between them and have fished every river, lake and the sea within a 20-mile radius. Their local knowledge of Lough Corrib in Moycullen, County Galway, various fisheries in South Connemara, combined with first-class equipment (boats, engines, rods, reels, flies and lures) affords the angler access to professional guidance and advice. 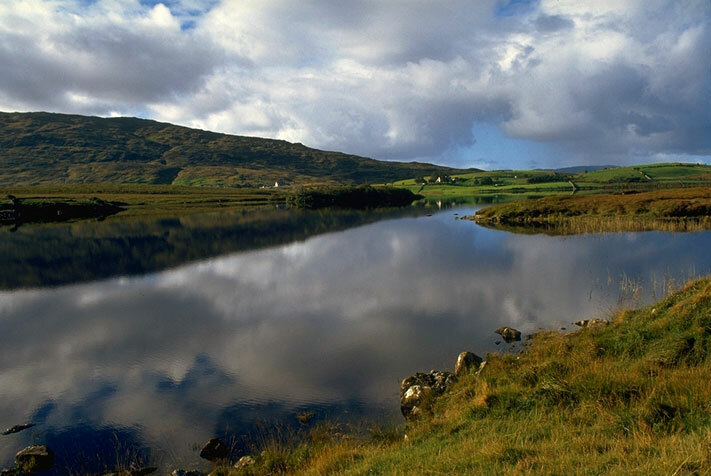 During the summer months, professional guidance can be given to ensure a successful day’s angling whether it is fishing one of the numerous small lakes of the neighbouring Connamara area for sea trout, small wild brown trout or the chance of a salmon. Accommodation can be organised for you. Brian Curran is a Professional Angling Guide of Ireland and has many years of experience in the fisheries of Connemara.He is supported by a team of local guides who have fished the large loughs from an early age and built up a store of knowledge covering fish lies, weather conditions and best advise on catching fish. A range of systems in South Connemara from Furbo to Inverin allows you to fish for salmon, sea trout or wild brown trout. People are asked to refrain from angling on Boluisce System (River or Lakes) for conservation reasons. This system is in the process of having major fishery development works carried out under the Salmon Conservation Scheme, with input of gravel to create spawning beds, a fish counter has been installed and an active protection programme, to ensure the maximum number of returning salmon and sea trout can survive to spawn and so create a viable fishery in the future. Costello and Fermoyle is a premier sea trout and salmon fishery, featured foremost extensively in “A Man May Fish” by T.C. 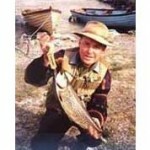 Kingsmill Moore, one of the experts on sea trout fishing and creator of the Bumble type flies. The fishery comprises the Casla River and a series of lakes, set in beautiful scenery against the backdrop of the Twelve Pins mountains. The fishery is quite extensive, from lakes draining the hills near Oughterard to the sea at Casla. The river is about 4 miles long, divided into 4 beats, with 2 rods per beat easily fished from both banks. The main lakes or loughs are Glenicmurrin, Fermoyle, Clogher, and the Schoolhouse Loughs. As a qualified angling guide, I have boats at Curra on the lower part of the lough and is a good area for early season fishing of the duckfly and olives. Also during the summer months for late evening or early morning angling. For the Mayfly I have a boat mid way up the Corrib at Birchall. Price is a daily rate per person, bank fishing or tube. The Owenriff is a small fishery, composed of a number of inter-connecting lakes and joined by a river that runs of the large bog into Galway Bay at Inverin, besides Joyces supermarket. It is a designated sea trout fishery and so a state salmon / sea trout licence is required as well as a permit from Ireland West Angling.The first lake is called Loughaunagun at Redhill and has a road all the way up to it. This road lies on the right hand side just before the Poteen Still pub in Inverin and will bring you up to the edge of the lake through the local co-op bog. Price is a daily rate per angler and includes boat hire. While the loughs are small, anglers can use their own electric or small outboard motors at their own risk. Open season runs from 1 February until 30 September for salmon and the sea trout fishing generally begins from June to end of September. The main lough on the Knock system which runs down to its outlet in the village of Furbo. The system has a conservation limit of over 130 salmon but this seems massive for a system of its size and limited spawning area. As the system is not reaching the conservation limit, it is closed for salmon angling and it is unlikely ever to open as a salmon fishery. There is a nice run of sea trout into the lough and is well worth fishing either from the shore, a tube or from a boat, if available, and on a catch and release basis.